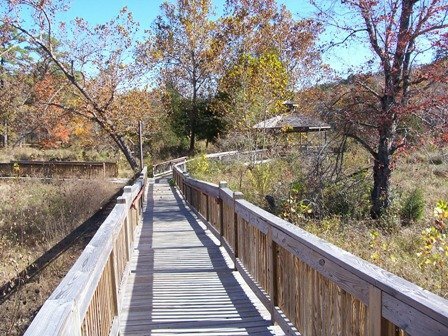 The Robbers Cave Trail System is located inside Robbers Cave State Park in Wilburton. 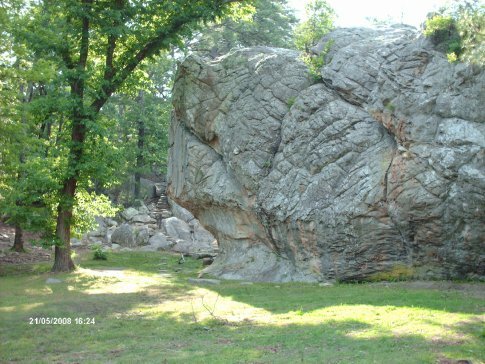 Known for its picturesque scenery thanks in part to the Sans Bois Mountains, Robbers Cave is a must-see Oklahoma destination. 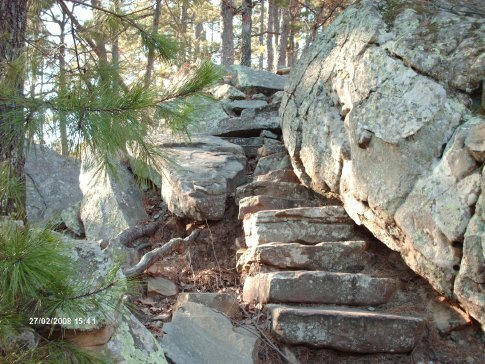 Whether you're looking for a prime hiking trail or want somewhere to mountain bike or go for a horseback ride, look no further than Robbers Cave Trail System. Before you go anywhere, be sure to check out the alleged hideout of infamous criminals Jesse James and Belle Starr. The cave that inspired the area's name is located just north of the trailhead. Cattail Pond Loop (GPS N 35 0.371, W 95 20.201): This four mile loop makes for a perfect day trip without the need of a car drop. 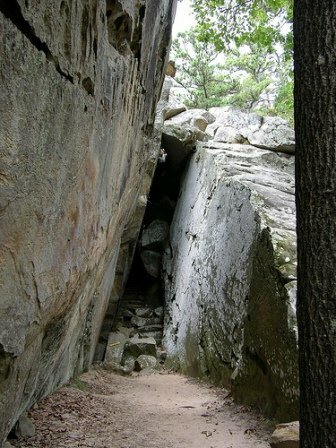 From the entrance to Robbers Cave State Park, make an immediate right hand turn and follow the road to the parking area. The trailhead has a comprehensive trail map that will detail the various routes. From the trailhead, take the left hand path and proceed gradually northwest for one mile. When the trail comes to a T, turn right and go to Cattail Pond. The trail will also take you past Lost Lake. From there, you're just under a mile from the trailhead. Lake Wayne Wallace Overlook (GPS 35 0.371, W 9 20.201): Follow the same path as mentioned above, but when you get to the T make a left instead of a right. This will take you on Mountain Trail and away from Cattail Pond. Proceed for just over two miles, where you'll come upon the lake to your left. From here, take the Big John Switchback trail and keep an eye out for a blue trail marker on your left. This will take you to one of the vest viewing points in the entire park. Retrace your path to return to the trailhead. Located 5 miles north of Wilburton on Hwy 2.